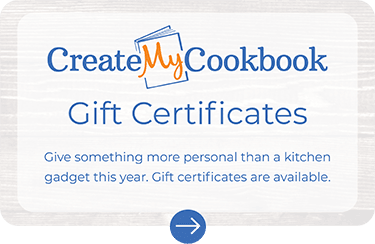 Everyone at CreateMyCookbook is dedicated to achieving one goal - allowing our customers to create the best cookbook they will ever own. We make creating professional quality printed cookbooks easier using our web based book designer. Your recipes. Your photos. Your cookbook. The company was founded in 2007 to provide people a better way to preserve those treasured family recipes. The company is headquartered in Atlanta, GA.
Do you have an audience that loves to be creative? loves to cook? loves food in general? We would love to hear from you. We are actively seeking partners, and look forward to hearing from you. Please email us at bizdev@createmycookbook.com with a brief description of how you think our organizations might work together. Brian is a serial entrepreneur with a passion for enabling people to do creative things. He also loves food. With his extensive background in technology, and social media, CreateMyCookbook is a natural intersection of his passions and talents. As an active member in the Atlanta technology startup community, Brian works with a number of companies in technology selection, product road map development, and strategy. He also serves on the board of multiple software and social media companies. Brian holds a BS in Computer Science with Highest Honors from Georgia Tech. Before joining on with CreateMyCookbook, Eric and Brian worked together to launch a successful software architecture consulting business. Through their efforts they led the development of several large scale software projects for Fortune 100 clients. Eric holds a BS in Computer Science with Honors from Georgia Tech. Haley knows food A-Z. She holds a PhD in Nutrition from Emory University, and is highly active in multiple cooking clubs. She has also participated in, and won multiple recipe competitions. Haley actively participates in product development and marketing strategy. Leah is self proclaimed recipe maven and has won multiple recipe competitions. Her years of cooking experience and organization skills help keep CreateMyCookbook's operations on track. She graduated from Mercer University as a Doctor of Pharmacy. Leah actively participates in product development, operations, and business development.